Warde's Kitty Caissy is one of the many returning varsity players for the Mustangs' girls volleyball team. 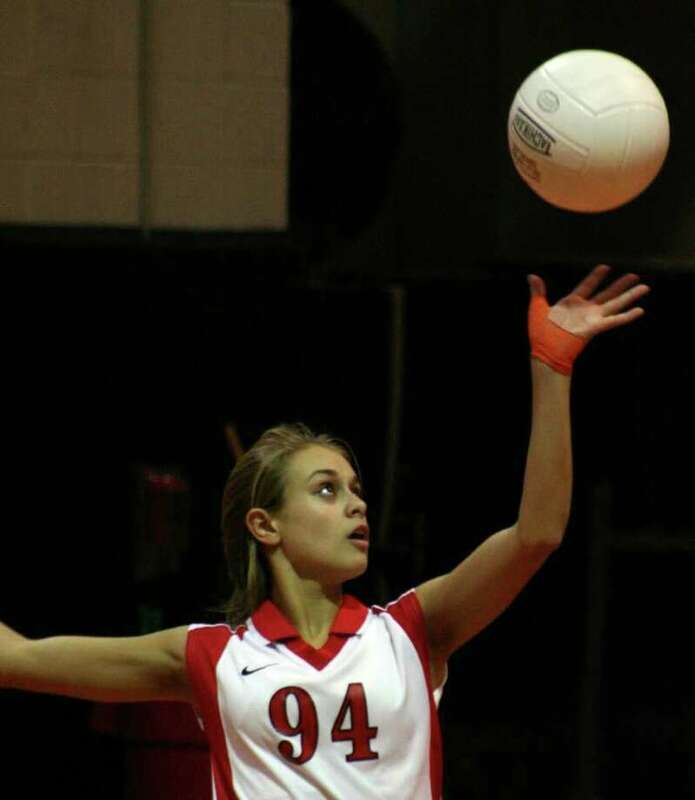 The Fairfield Warde girls volleyball team continued to make strides in 2010. The Mustangs made it back-to-back trips to the Class L state tournament, as Warde won eight matches for the second straight year. In 2011, the team's sights are set even higher. Warde graduated just two, returning eight varsity players, six of whom are seniors. "We have a great squad coming back who proved they have what it takes to reach the postseason as juniors," coach Matt Narwold said. "These girls have high expectations already." The upcoming year is one that means a great deal to Narwold. The second-year varsity head coach is seeing a crop of seniors who he also coached as freshman pass through and graduate. "I have had the privilege of coaching them for all four years of their high school volleyball careers," Narwold said. "This is a very special season for me." The Mustangs will be led by their four senior captains. Middle hitter Angie Walker, libero Kitty Caissy, setter Rebecca Stern and outside hitter Jerelyn Luther will lead both on and off the floor. Juniors Tatiana Fernandes and Leah Walsh will be hitters for the Mustangs, as will Kelsey Elmendorf. Grace Price will serve as the team's defensive specialist. The team developed goals on its own before Narwold even approached them about it. "They're excited to have a successful season," he said. "The girls know my expectations and know that I have a large amount of faith in them." As long as the Mustangs stay healthy and continue to work as a team, Narwold believes their aims are achievable. "We will be aiming for a run at the FCIAC and Class L state titles," he said.